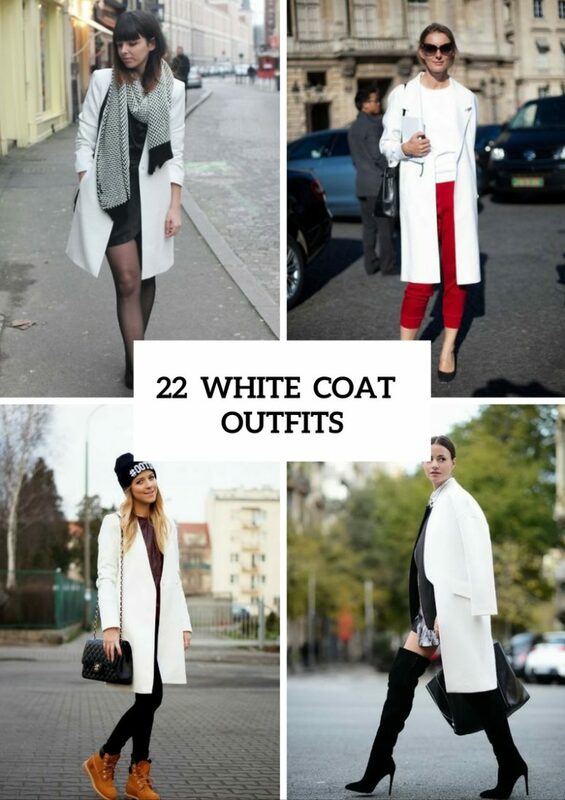 If you like classic ideas, fresh looks and clean lines, then you need to get a white coat for these fall and winter. You can create any styled outfit, combine this type of coats with any pieces of clothes and any colors and you’ll always look glamorous and chic! Still doubt that you should buy a white coat? Then continue to read and I’ll prove to you that it’ll be your best choice for next months. For those who aren’t ready for bold clothes combinations and really like classic and elegant outfits, I’ve prepared some black and white looks. You will easily create several ones for office or just for a walk with your friends. If you like dresses, then pick up knee-length black dress with white peter pan collar, black tights and ankle boots. For glamorous looks you can change your ankle boots to over the knee suede ones and take a leather big bag. 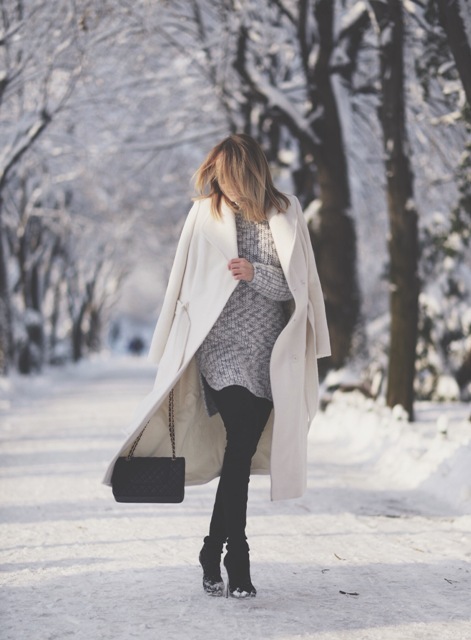 If you wanna make cozy winter looks, pair your belted white coat with black turtleneck and skinny jeans or with knitted mini dress and black tights. One more idea for stylish ladies is to create a sporty outfit which will consist of a white oversized sweater, loose pants and white sneakers. I like how simple black and white outfits can turn into very eye-catching ones when you just add some bright accessories, shoes or colored pieces of clothes. 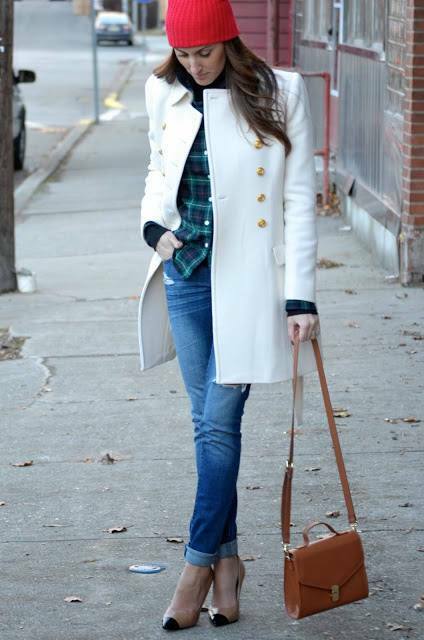 A white coat looks perfectly with plaid blanket scarves, colorful beanies and bags (fortunately, white color blends with any color palettes). But the most fantastic color combination is white and red one, so boldly add red color to your outfit. Don’t forget about shoes, depending on your whole style, you can choose brown mid calf boots or leopard printed pumps.